The gloss coat is the final coat in the glassing process and it is done exactly like the Hot Coat. The hardest part of this step is turning off the lights and walking away from your shinny board. The temptation to touch imperfections in the gloss coat is very strong but you have to resist the temptation after the first few minutes and let gravity level the resin. 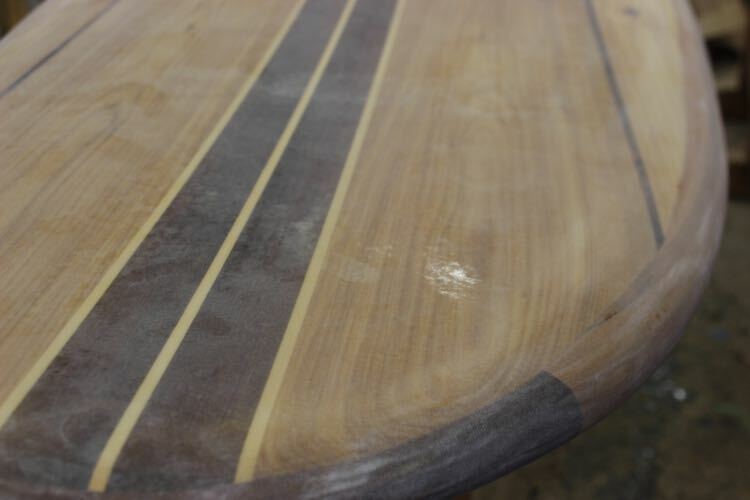 The board should be sanded to 100-grit and any large imperfections should be fixed before the glassing. Gravity does not seem to let you just flood the imperfections resulting in a perfect gloss coat. If you have any mistakes from the Hot coat I recommend filling them with a drop of rising and sanding them flat before you do the Gloss Coat. It is important that the board and the area that you are glassing in are clean. 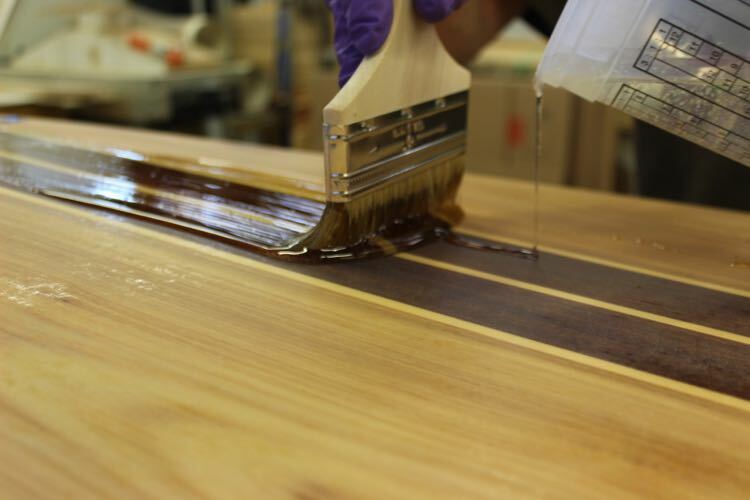 The application is the same as the previous coat with the only real secret being to get the resin spread out quickly in as few strokes as possible. When you are happy do a final check around the rails for drips and then turn out the lights and walk away. The fluorescent lights seem to drop dust and attract bugs. Seriously, it is worth turning out the lights.